There's been no dearth of Beyoncé covers of late, with several redos and remixes of "Drunk in Love" having arrived from the likes of Kanye West, Future, T.I. and more. 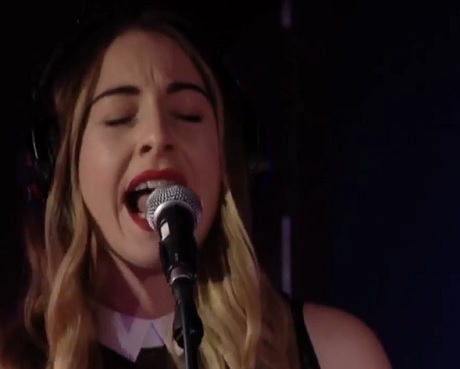 Mercifully, pop act HAIM kept their surfborts at bay during a BBC Live Lounge appearance to run through another of the Queen Bee's songs: "XO." The cover plays fairly faithful to the Beyoncé version, with bassist Este Haim taking lead vocal duties to deliver the ballad's hopeful, living-in-the-moment message. The drum production isn't quite as dynamic as the lush original, but still plays out nicely via Alana Haim's modest military beat. Turn the lights out and give the cover a listen via the player down below.